Kamoboko, sometimes called “fish cake” is a very popular dish served especially on special occasions. Kamaboko is made of white fish which is pureed and molded into different shapes. Most commonly in semi cylindrical shape with pink, red or white coloring on top, it can be steamed fried or barbecued. 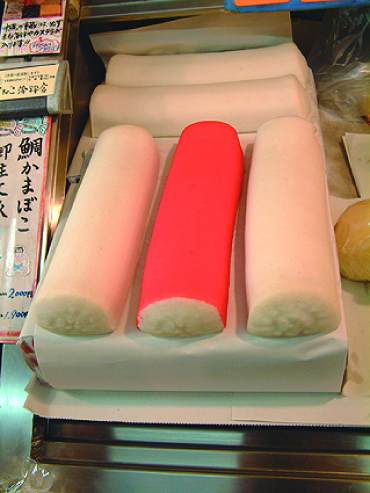 Kamaboko is becoming a popular health food because it is low in calories and fat and rich in protein.